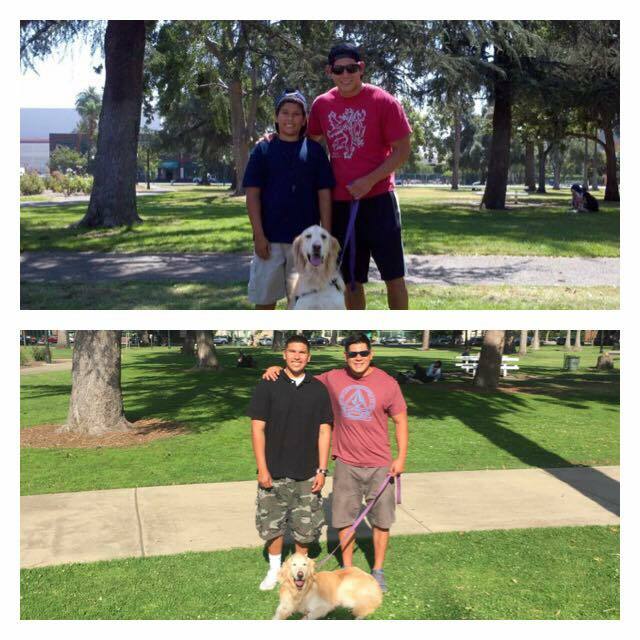 Walk With Sally is proud to present the 5th Annual Lifetime Friendship Award to mentor Chris Martinez and his mentee, Patrick. Chris lost his father to pancreatic cancer at the age of 27, and in the aftermath felt like he was going through grief alone, with no support system. After hearing about Walk With Sally through a networking group, he immediately signed up to be a mentor. Chris felt like it would be a great opportunity to help alleviate sadness and pain for a child going through something to which he could so closely relate. Chris and Patrick were matched in the summer of 2012, when 13-year old Patrick and his sister were in the throes of their mother’s 4-year battle with cancer, a battle she unfortunately lost. The last 5 years Chris and Patrick have been matched as mentor and mentee have clearly had a large impact on both of them. Perhaps the most poignant moments for their relationship occurred leading up to Patrick’s mom’s death and in the months thereafter. Chris lives with the regret of not telling his father that he loved him prior to his passing, and Chris didn’t want Patrick to have this same regret. Chris advised Patrick to not let her last moments pass without telling his mom how he felt. Patrick spoke to his mother and let her know that he loved her. “Helping him to do that was one of the moments I’m most proud of when I think about my mentorship,” says Chris. Congratulations to Chris and Patrick on your Lifetime Friendship Award, Walk With Sally loves having you as part of our community! This entry was posted in WLWN 2017 and tagged #fundraising, cancer, Friendship Award, walk with sally, White Light White Night.